HTC eyes mid-range smartphone market as revenues fall again | What Hi-Fi? Taiwanese manufacturer looks to build a "compelling mid-range portfolio"; new Desire handset to go up against iPhone 5c? 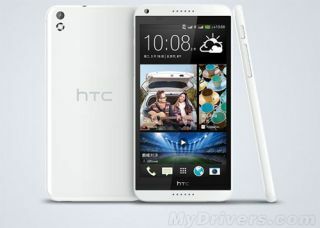 HTC has revealed its plans to build "a compelling mid-range portfolio" of smartphones in 2014 in a bid to reverse its fortunes, with the firm posting a 28.5 per cent year-on-year slump in revenues for Q4 2013. The Taiwanese firm reported revenues of NT$42.9bn in the three months ending 31st December – compared with NT$60bn in Q4 2012. And its co-founder and chairwoman Cher Wang told Reuters there had been too much attention put on its flagship – the HTC One. In a statement that accompanied HTC's fourth quarter results for 2013, chief executive officer Peter Chou said: "We will continue to stay focused on making the best smartphone and building a compelling mid-range portfolio." Such a move into the middle of the market could see HTC go head-to-head with Apple's iPhone 5C, with rumours now emerging of the HTC Desire 8 – a 5.5in Android phone with a 5MP front camera and 13MP rear camera among its features. Dual-sim, a quad-core processor and 1.5GB of RAM are also rumoured, while Chinese site MyDrivers is behind the leak of the first "official" Desire 8 photo (pictured above). It has been suggested we'll hear more on 18th March – watch this space. One new HTC smartphone that we know more about is the HTC M8 – the codename for the latest version of the flagship HTC One. Reliable smartphone tipster @evleaks has suggested it could be making its debut at its own launch event in New York next month. Current predicted specs for the HTC M8 (or HTC One Plus) include a 5in full-HD screen, twin-sensor 4MP UltraPixel camera, a 2.26 GHz Qualcomm Snapdragon 800 processor, 3GB of RAM and Sense 6.0. With the imminent appearance of both the HTC Desire 8 and M8, it seems the firm is looking to fight back in the battle of the smartphone manufacturers – a strategy echoed in a tweet from HTC Senior Global Online Communications Manager Jeff Gordon. Meanwhile, the company has also signed a patent and technology collaboration agreement with Nokia in a move that settles all ongoing legal disputes and will involve HTC's LTE patent portfolio. You can be sure that whathifi.com will be keeping its ear to the ground for upcoming developments from HTC, along with all the latest news to emerge from the showfloor at next month's MWC.